The Snowbee Onyx #5/7 model comes in a Cassette Spool form, offering the convenience of a ‘quick-change’ cassette system, coupled with the cost saving of multiple spare spools. The cassette spools are moulded in a flexible Polycarbonate, which allows them to ‘flex’ rather than crack under extreme strain. The generous backing capacity makes these reels ideal for both river fishing and small still waters. 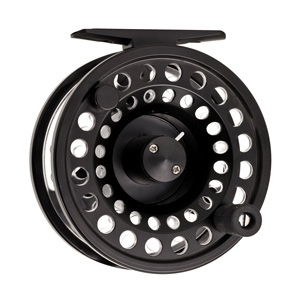 Available as both an individual reel and in a kit comprising a reel plus 3 spare cassette spools, all in a neat reel/ spool bag.